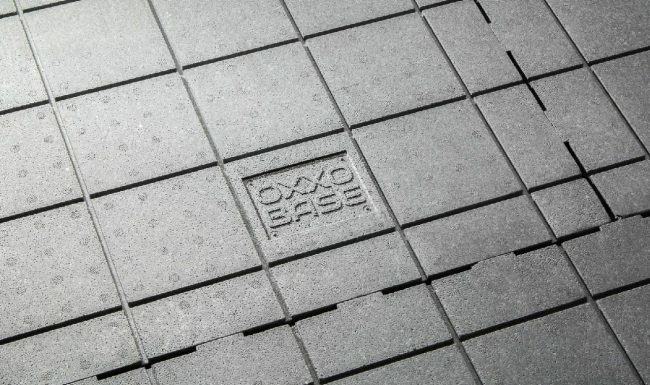 OXXOBASE introduces a revolutionary technology in the field of ceramic outdoor tiles that saves time, labour and money. 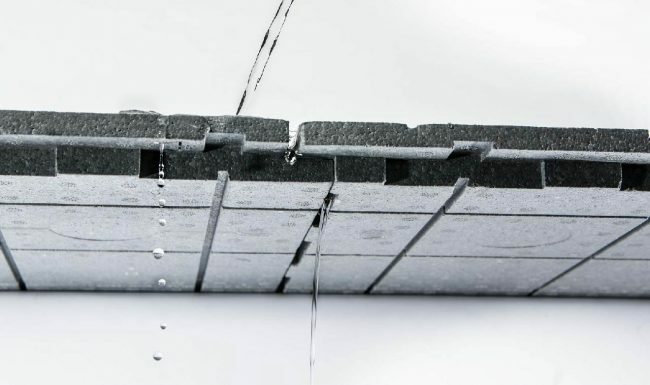 OXXOBASE panels are made of high-quality expanded polystyrene that ensures optimal pressure distribution and drainage of water from your terrace into the soil. 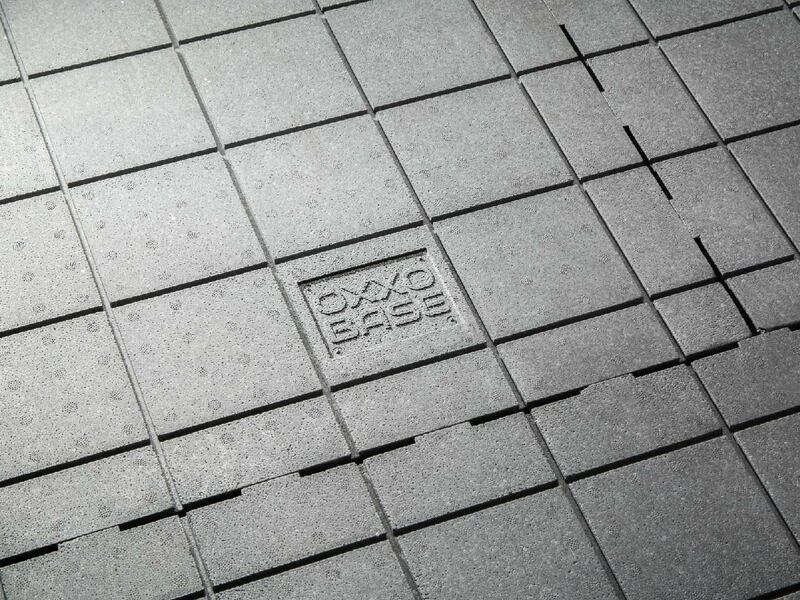 In comparison to traditional systems, OXXOBASE saves you a lot of money on materials and labour. 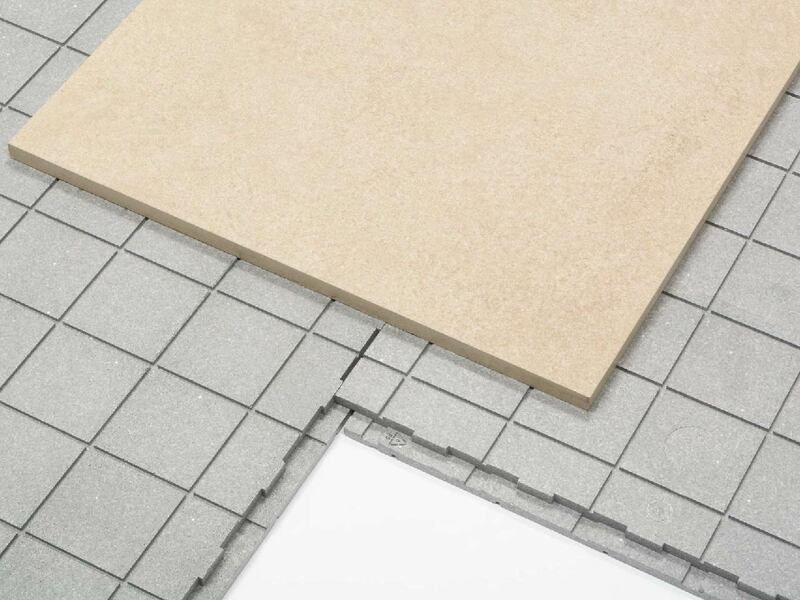 The installation is so easy that you could even do it yourself. Save time, labour and money with the OXXOBASE system. 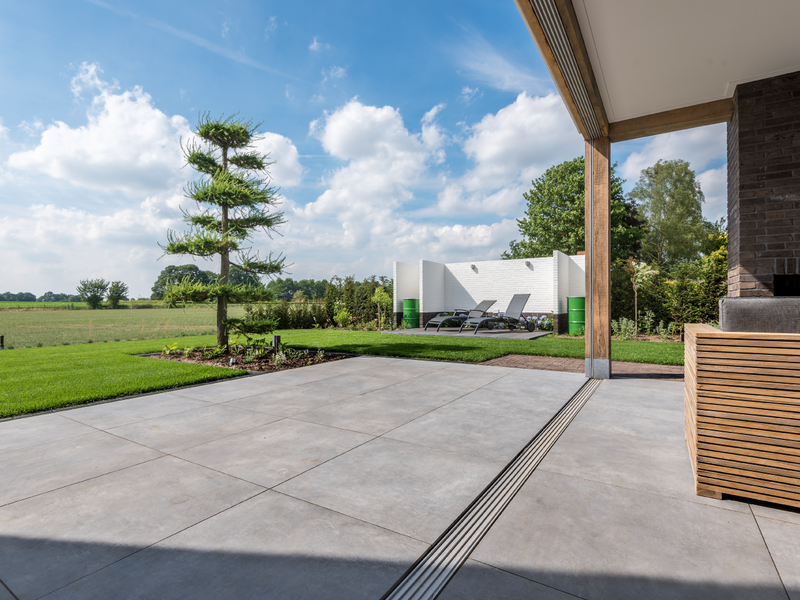 OXXOBASE panels have been designed to achieve, in a simple and sustainable way, a stabile subsurface with natural drainage of water into the soil. 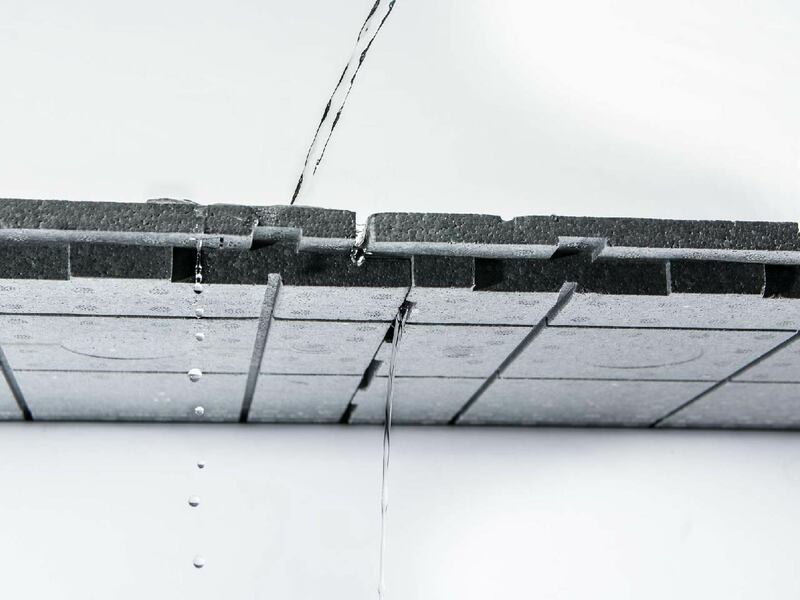 The biggest secret of the OXXOBASE system is the composition of the material and the engineering of the panel. 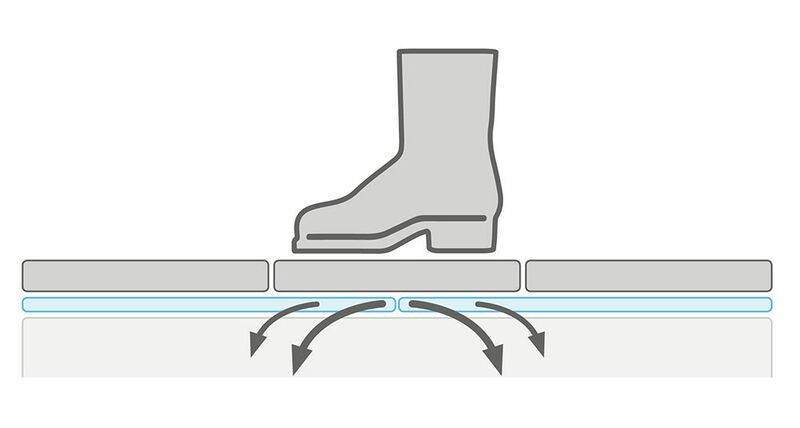 Together, these aspects enable an optimal pressure distribution into the soil, so only a thin layer is needed for a stable base. 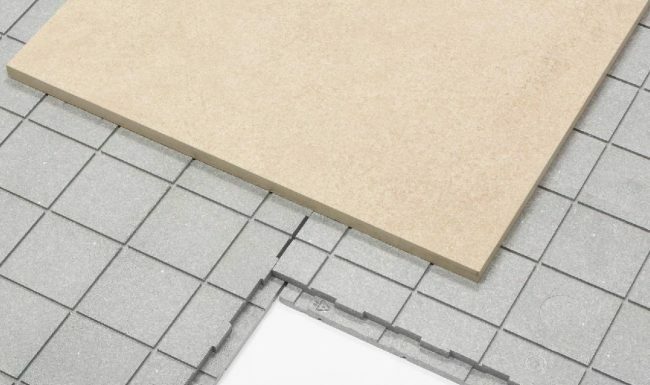 This construction saves a lot of installation time. 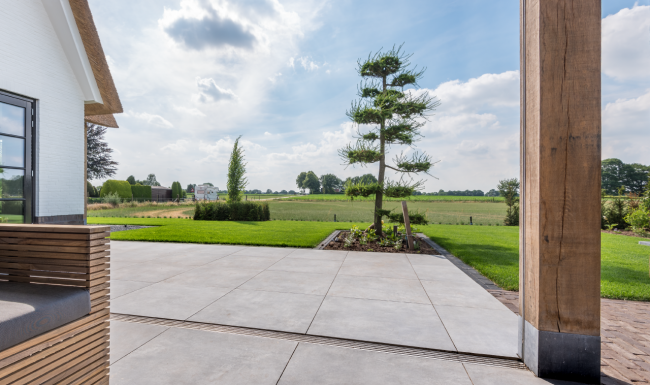 Traditionally, a thick layer of gravel is applied, which is a very labour intensive process. 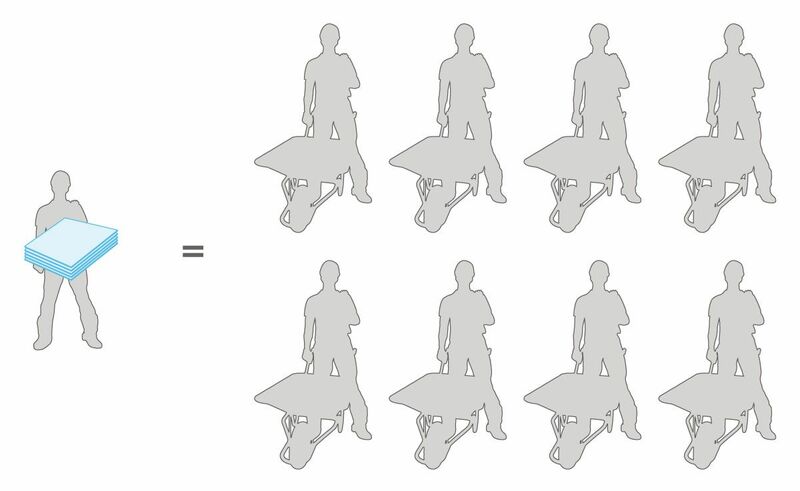 OXXOBASE is ergonomical and easy to process. Optimal pressure distribution with a thin layer of OXXOBASE. Because of the lightweight processing of the OXXOBASE panels, you do not need big machines while processing them. Firstly, 15 cm of the soil is excavated, then a thin layer of concrete sand is applied and levelled. 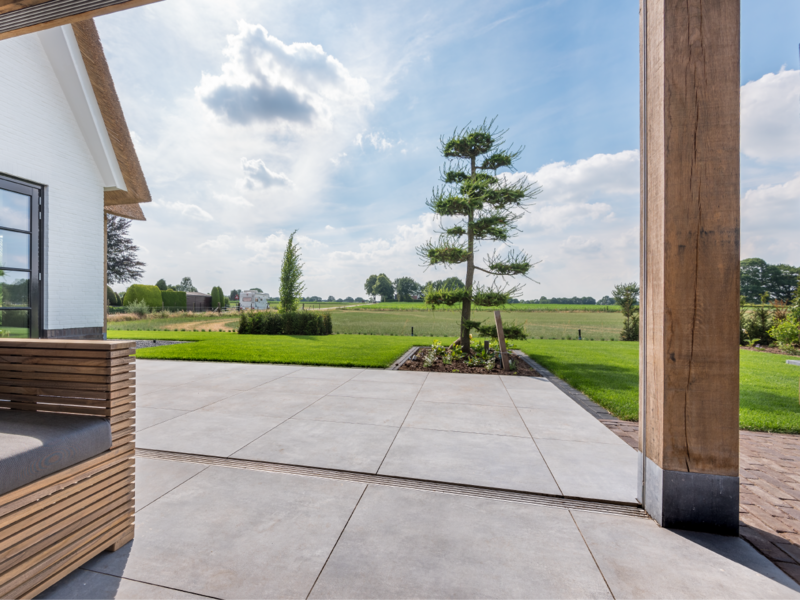 You can ask your paver installer or horticulturist to install the system for you, but it is also very well possible to perform the steps yourself. A useful step-to-step plan is described in the guide that can be found in downloads. The light construction saves a lot of labour. 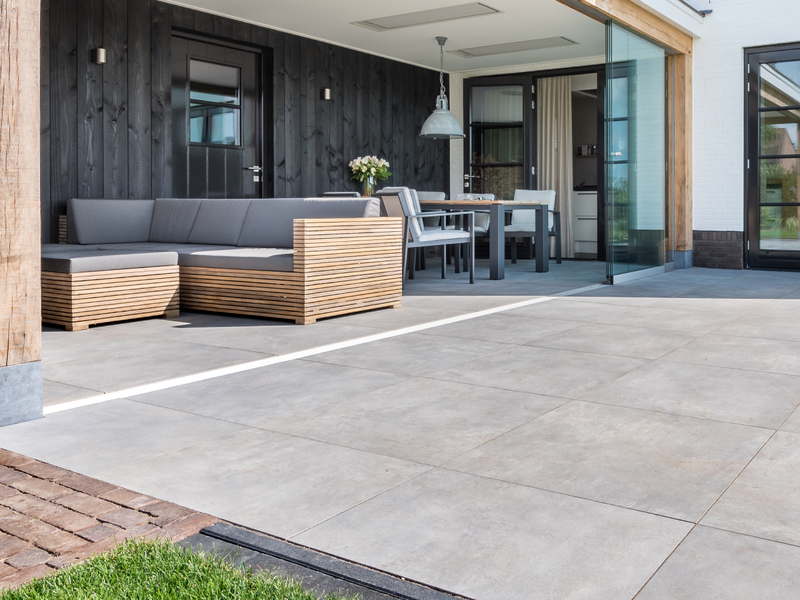 OXXOBASE is very suitable for installing outdoor tiles (by yourself). 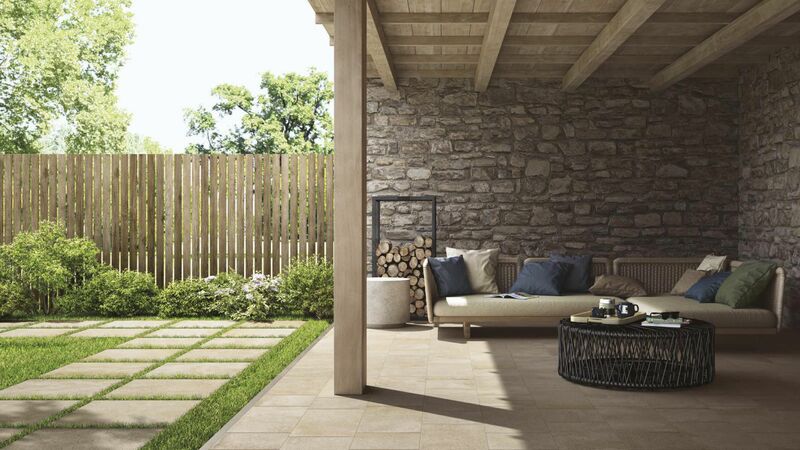 Our panels are a very suitable solution for ceramic, natural stone and concrete tiling. 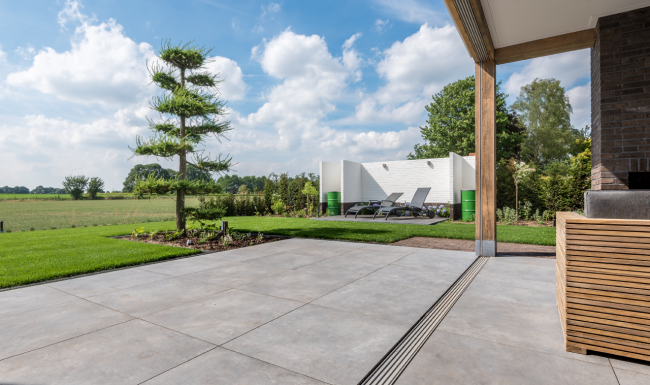 We see the OXXOBASE panels used in a number of different applications, such as terraces, walkways, patios, swimming pools, etcetera. 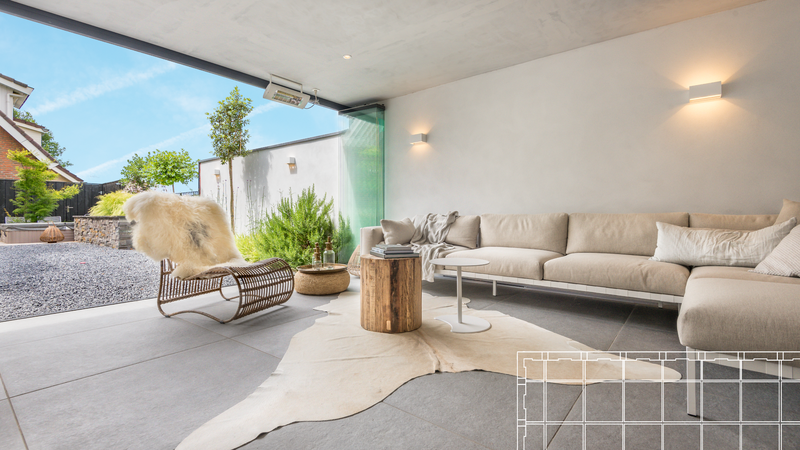 Take a look at the references below to find inspiration for your own project. 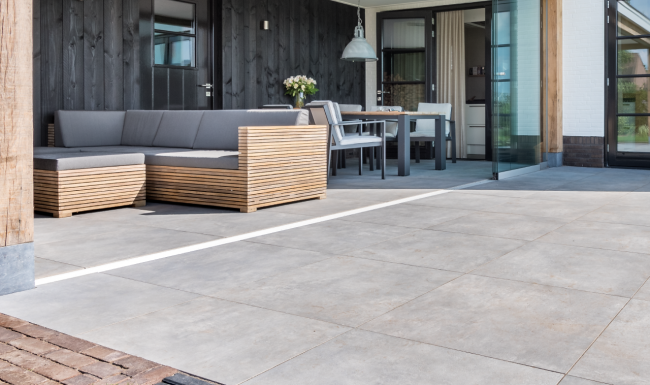 These installation instructions give you step-by-step instructions for paving your own terrace with our panels.